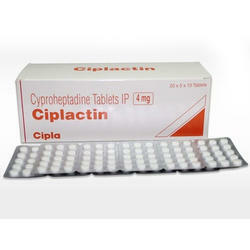 Leading 100% Export Oriented Unit of fosinopril 10mg tablets, daxid tablets, cefadroxil tablets, trivastal la tablet and ciplactin tablets from Mumbai. Fosinopril is an angiotensin converting enzyme (ACE) inhibitor used for the treatment of hypertension and some types of chronic heart failure. Fosinopril is the only phosphonate-containing ACE inhibitor marketed. Sertraline is used for the treatment of depression, obsessive-compulsive disorder, panic disorder, anxiety disorders, post-traumatic stress disorder (PTSD) and premenstrual dysphoric disorder (PMDD). Daxid Sertraline belongs to a class of antidepressants called selective serotonin reuptake inhibitors (SSRIs). Daxid works by increasing the amounts of serotonin, a natural substance in the brain that helps maintain mental balance. 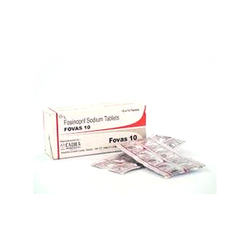 Cefadroxil is used to treat bacterial infections including lung or respiratory tract infections, kidney infection and bladder infection skin and soft tissue infections and inflammation of tonsils or throat. 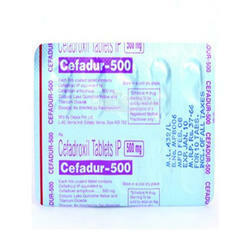 Cefadroxil belongs to group of medicines called cephalosporin antib. Cefadroxil kills the bacteria by interrupting the bacterialcell wall (outer coating of bacteria) formation. As a result, the bacterialcell wall is weakened and ruptured, thereby killing the bacteria. Trivastal L.A. (Piribedil) is prescribed to help treat a wide range of different conditions including Parkinsons disease, mild cognitive impairment, cerebral aging, and restless leg syndrome.